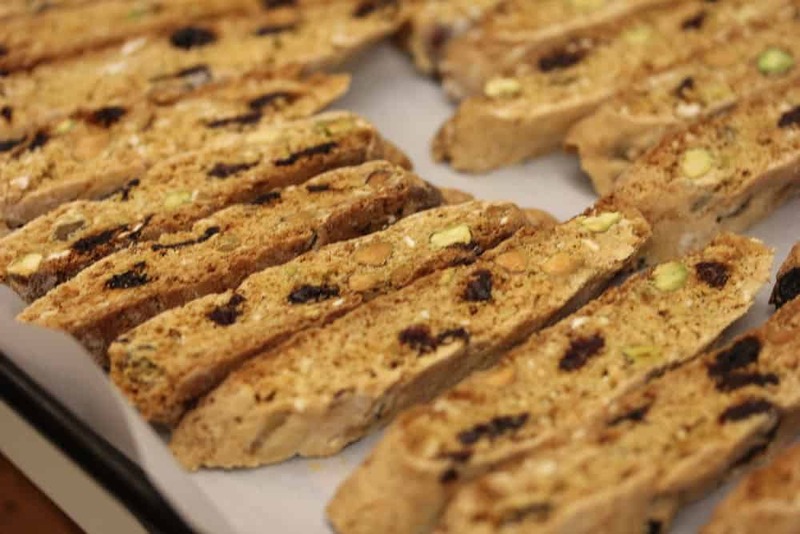 Biscotti with Pistachios and Dried Cherries is just so good. 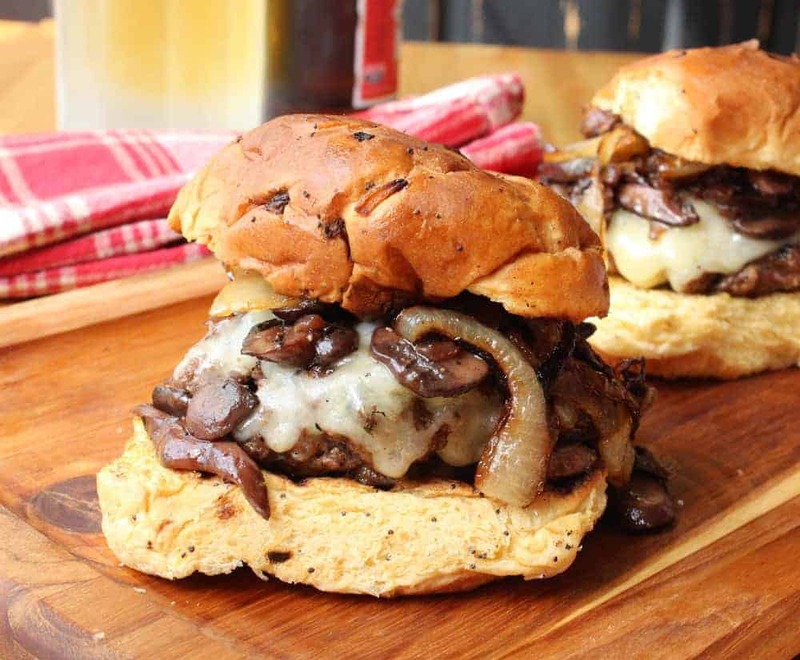 This is so perfect when served after an amazing meal with some espresso, or coffee, or your favorite after-dinner drink. The flavors really work perfectly here! So good. Enjoy! 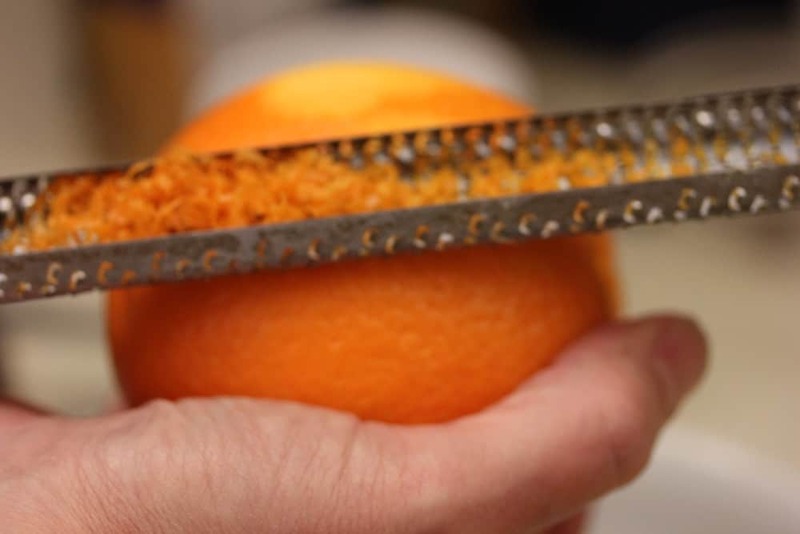 Orange zest adds a wonderful depth of flavor! Form into 2 logs…and then bake! 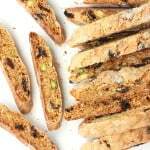 This biscotti with pistachios and dried cherries is one of my all-time favorite types of bisoctti. The flavors work so well together. Perfect finish to a nice meal...serve along with a lovely espresso...and it doesn't get much better. Yum! 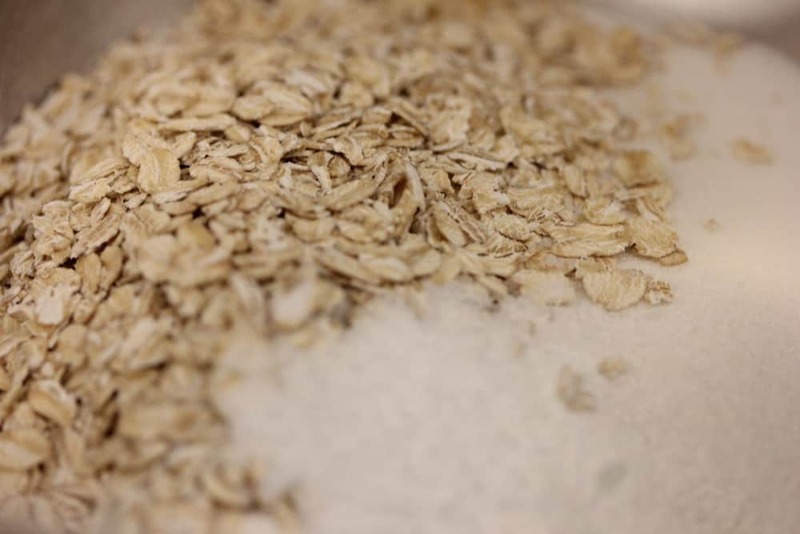 Combine the flour, sugar, oats, baking powder, baking soda and salt in the bowl of a stand mixer. Blend on low speed for about 30 seconds. Meanwhile, in a separate bowl, whisk together the eggs and then whisk in the oil, zests, and extracts. 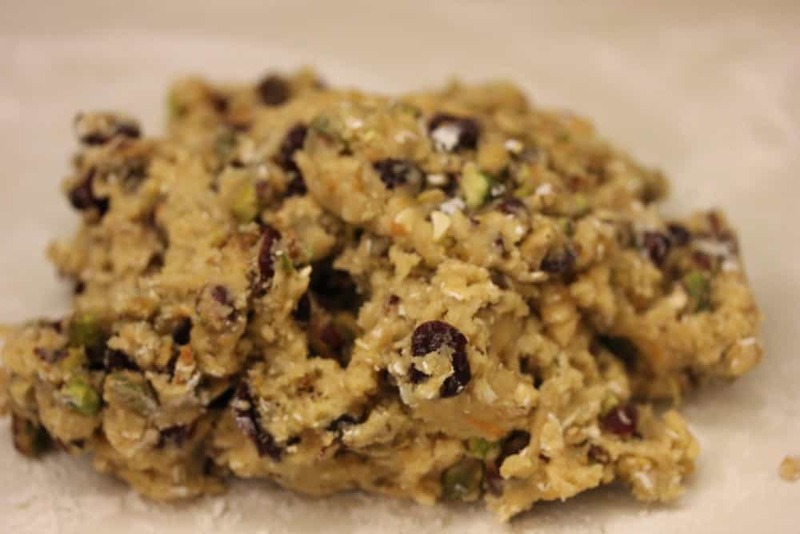 Add egg mixture to the flour mixture; beat until combined. Fold in the cherries and the pistachios. Using floured hands, shape each dough half into a 16" long log. Transfer the logs to the prepared baking sheet, about 5" apart. Flatten each log into a 2" wide strip (about 1/2" - 3/4" tall). Bake until lightly browned and set, about 25 minutes...rotate the pan about halfway through. Reduce the oven to 250 F.
Transfer the biscotti to a work surface. Using a serrated knife, cut each log diagonally into 1/3"-thick slices. Arrange slices, cut side down, on the baking sheets. 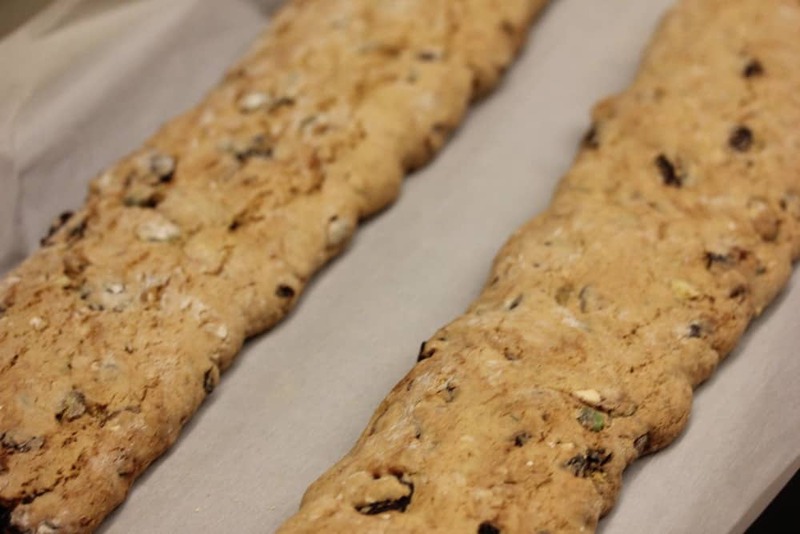 Bake biscotti until crisp, about 40 minutes, rotating halfway through. Transfer to wire rack to let cool.